American football is a sport that has really taken off in other countries like Serbia, Denmark, and even Germany. 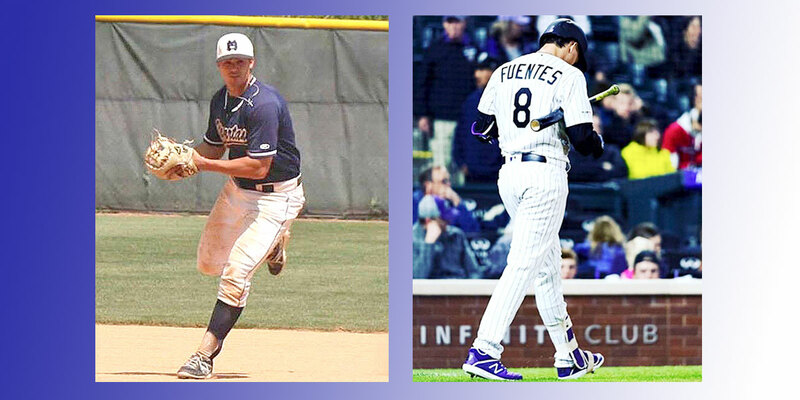 MBU has a student athlete who took the opportunity to play overseas, now he’s back to share his experience. 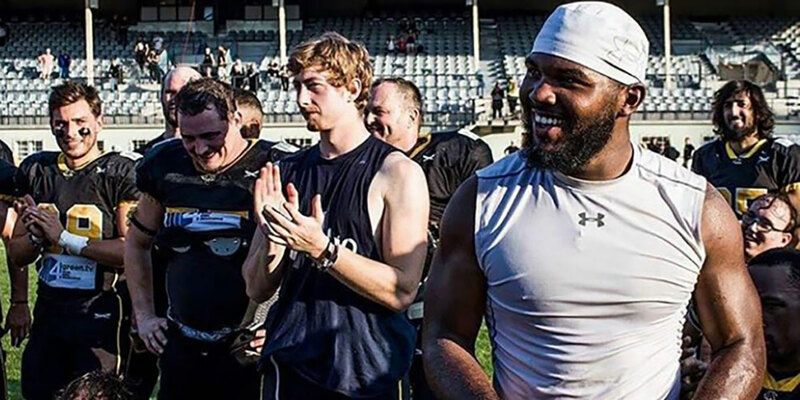 Keenan Savage (right) smiles and signs autographs with his teammates on the Berlin Adlers, an American football team in Germany, where Savage was able to live his dream a little longer after playing at Missouri Baptist University. 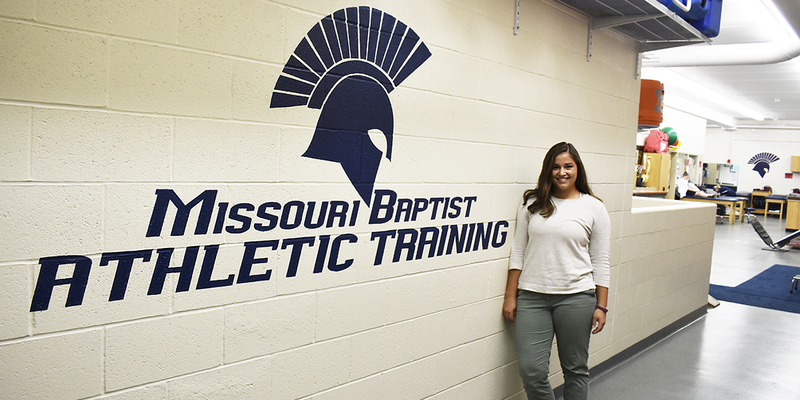 Missouri Baptist University has added four young and talented personalities to the athletic training room in Stephanie Brewer, Austin Wagner, Alisha Frierdich and Drew Potter. Stephanie Brewer stands next to the entrance of the Missouri Baptist University athletic training room as athletes await her daily treatment. Athletic trainers like Brewer, Drew Potter, Alisha Frierdich and Austin Wagner keep the wheels of the MBU Athletics machine turning as they help team members in all sports stay healthy and stay in the game.